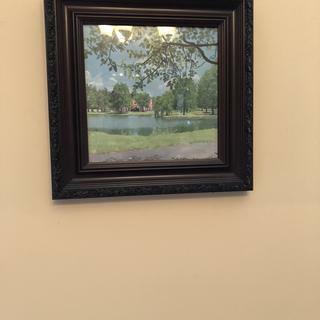 Very good quality frame, sits perfectly with my picture. If you have 10’’x10’’ painting and you don’t want any of it covered by the frame, order 10.5”x10.5” and glue it to the back cover. Truely satisfied, will stick to this company! This frame set off my oil painting perfectly. The riser and her horse are about to enter a dressage competition. 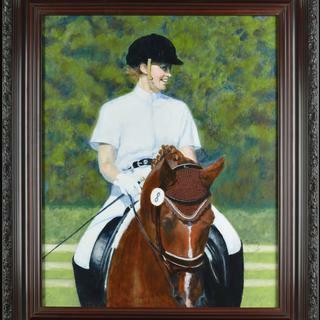 They are elegantly turned out with braided mane and decorated headdress, velvet riding cap, and black dressage saddle. 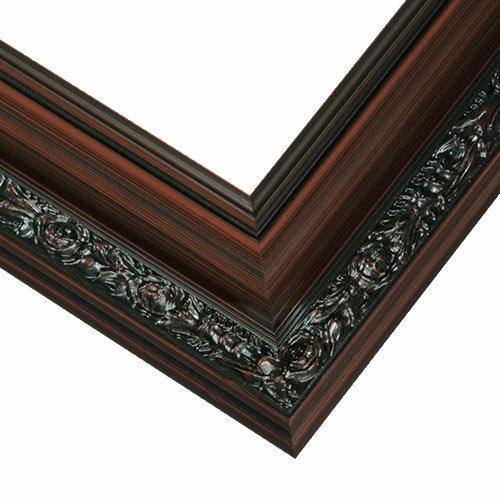 The frame is just perfect, ornate but not overdone, polished wood, and excellent craftsmanship. This picture frame is beautiful. I used it to frame my PhD in my office. For such quality, the price as amazing. amazing frame for my oil painting of the sea! packaged up so NO issues on delivery! love it and so did everyone who has seen it! My picture frame arrived well packed and unharmed. It is a beautiful frame and compliments my painting nicely. This is my third purchase. These people know how to ship! The frame is gorgeous and very well made. I am thrilled! I love everything about it! This is the 4th one I have ordered. This is 2018 Christmas painting. I call it Family Portrait. I love the way it turned out! Ordered frame, cover, backing and mat. Received frame. Called. Waited a week. Received mat. Called. Now waiting on cover and backing...sigh... Nice helpful folks in customer service but something is amiss in this business, I will look elsewhere next time. Hi Mark. Thank you for your review. We regret to hear that this has happened. This is certainly not an experience we wish to leave with you. We appreciate your business and hope to gain the opportunity to better your experience. If there is anything more we can do at this time, please let us know. Thank you again! The frames were not packed with enough padding and securely enough to survive shipping. The packaging was destroyed by the time the frames arrived at my home.Two out of three frames arrived damaged. I spoke with a customer service agent who advised to ship back the frames so that replacement frames could be sent out to me. However, my fear was that given the lack of adequate packing used by the company the same is likely to happen once again... Also, I had thrown the bubble wrap and cardboard box after opening the frames. I don't have the time to repackage and ship them back. Alas, my experiment with online framing is over. 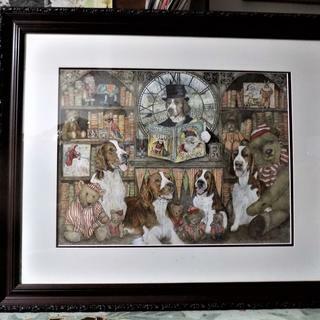 I will go back to my local framing store for my art. These frames will probably sit in my garage and gather dust. Hello Rupesh. Thank you for your feedback. Our customer care team would be more than happy to assist you with getting a replacement created. We never ask for damaged items back. We simply ask that you place them back in their packaging so that UPS may come by and inspect the package. In order to get a replacement frame, we request photos of the damaged items. These photos help us improve our quality control and help ensure that there are no reoccurring issues. Please give our customer care team a call at 1-800-332-8884 so that we make this right for you. I chose this frame because of its classic charm. Beautiful dark cherry finish and slightly ornate border is perfect for my small paintings. I'm hoping it goes with my painting. That is what my customer wanted for my painting he commissioned. It looked best with the print I'm framing. It fits my copy of a Bouguereau painting. 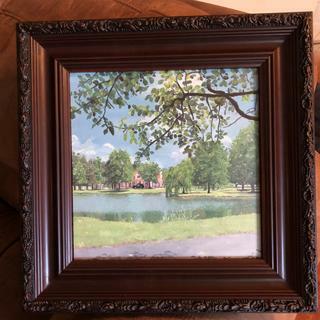 Can I buy this frame with just the backing? Can a 24x30 frame support glass? I want to but my own glass once the frame arrives. BEST ANSWER: No, you have to buy the frame only. I would recommend using a full corrugated plastic sheet (24x30) for the backing. It gives it rigidity because their are vertical supports within the plastic sheet. Also, I would make sure those canvas clip are very well secured and for extra insurance, I would nail in several brad tacks. You can use a tack hammer to nail them on the inside sides once you get your artwork and backing installed. I have done this before with even a larger size and it works fine. Hi Tina. You can certainly purchase the backing only. This would need to be done by phone at 1-800-332-8884 with our customer care team. A 24x30 frame can support glass. Thank you! Would a canvas that is up to 2 1/2 in. deep fit in this frame? BEST ANSWER: Hi Jodie. 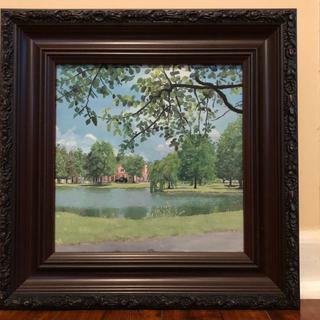 This frame only has a depth of 3/8", therefore, your canvas would have to be less or equal to this to sit in side the frame flush. Thank you!